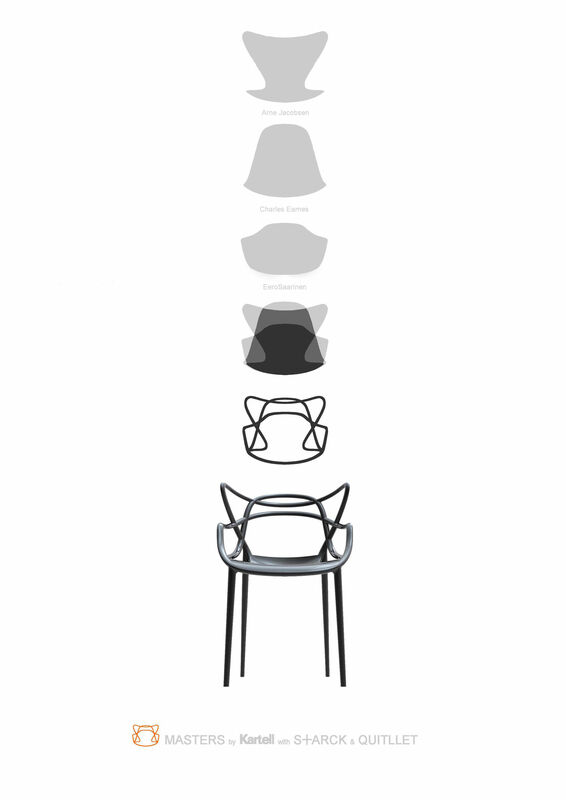 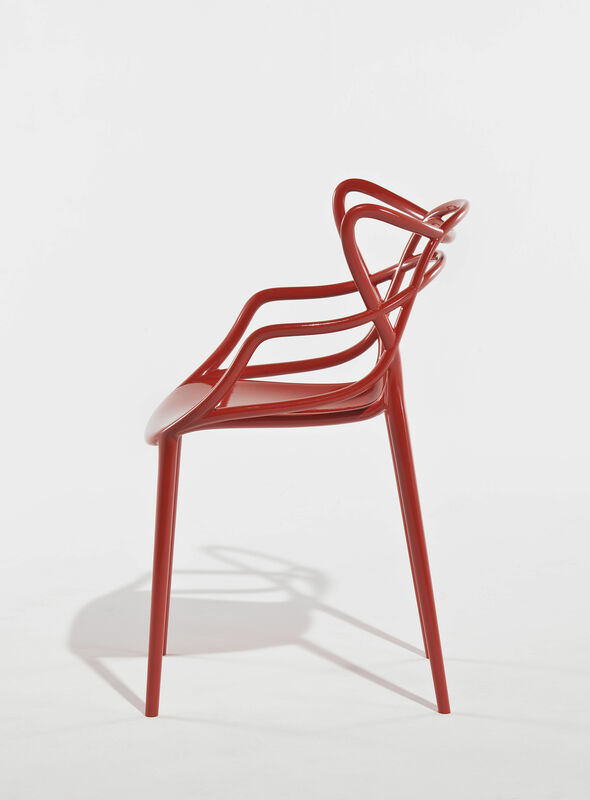 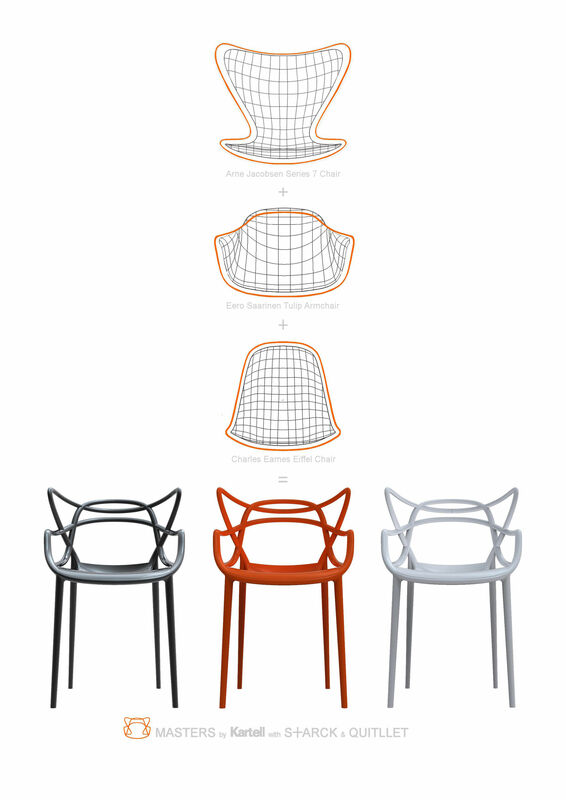 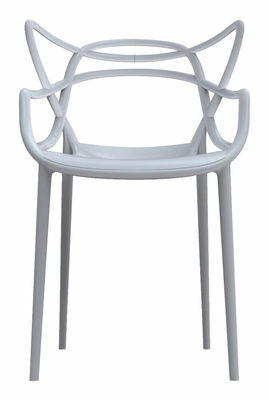 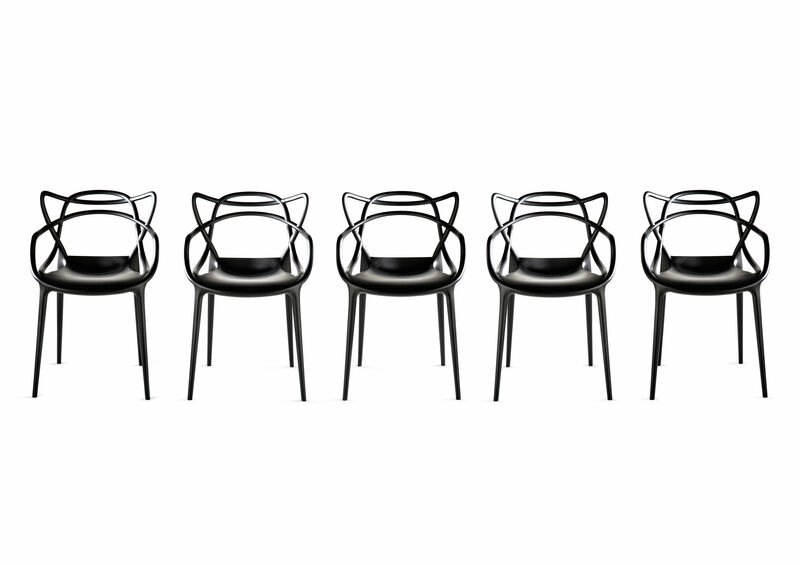 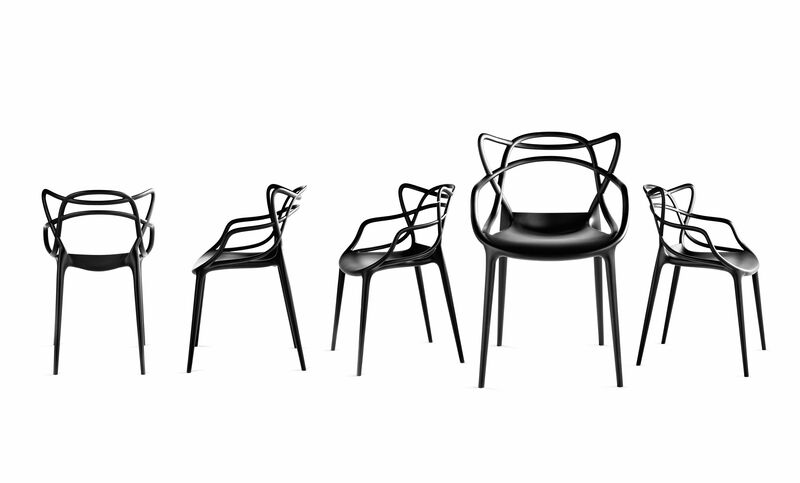 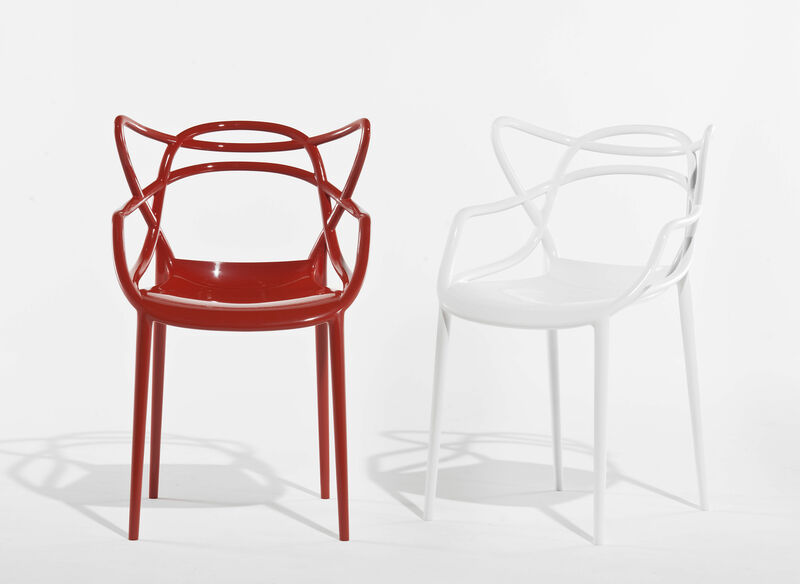 Starck pays tribute to three icons of contemporary design and creates a fusion of styles to get a "summa stilistica", the Masters chair. 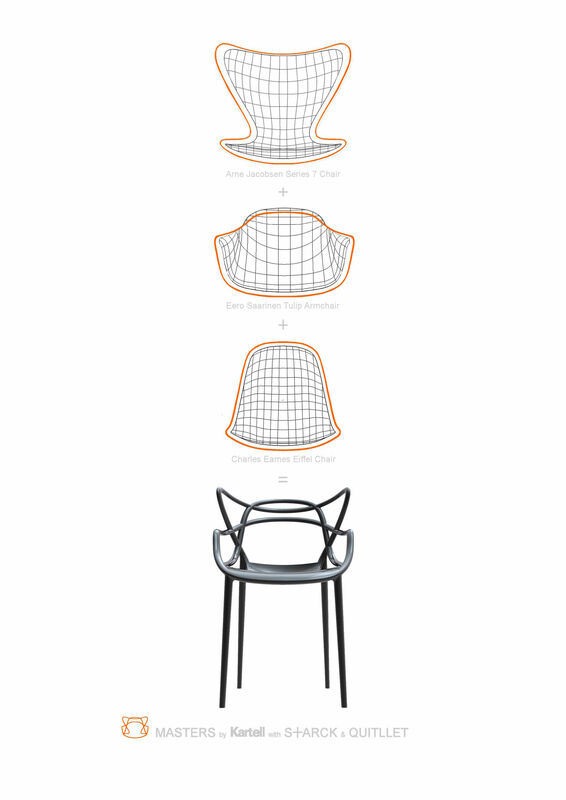 Reinterpreted in "space-age" mood, the Series 7 by Arne Jacobsen, the Tulip Armchair by Eero Saarinen and the Eiffel Chair by Charles Eames interweave in a charming and winding hybrid. Supported on four slender legs, the Masters chair is roomy and comfortable. 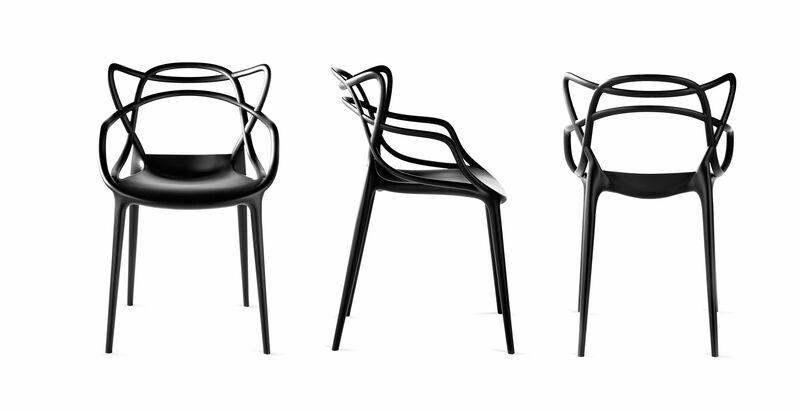 Its distinctiveness is, of course, in the back which is characterised by the solidity and void created by the meetings of curving lines of the three different backs which flow down and join together along the perimeter of the chair.